Our aim is to share our passion of yoga and its benefits with you. 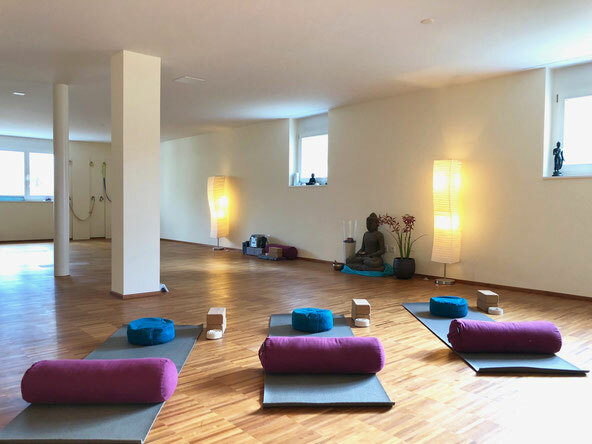 We offer classes and private yoga coaching and therapy for all ages, temperaments and levels of student, from beginners to advanced, from those seeking an athletic form of practice to those seeking a practice that is more serene and introspective. The Vedic mantra at the bottom expresses our biggest wish: "May all living things everywhere be happy and free" and that commences with a regular practice of yoga that leads us back to health, harmony and peace of mind. We look forward to welcoming you on to the yoga mat in one of our many classes. May all living things everywhere be happy and free.